Posterior lumbar spinal fusion is one of the most common types of spine fusion surgeries for the lower back. A spinal fusion is when 2 or more bones are permanently joined together to make 1 bone. A posterior spinal fusion is a spine fusion surgery that focuses on the backside of the spinal column. Spinal fusion surgery of the lower spine can help to treat spinal instability, lumbar fractures, or degenerative disc disease. Posterior lumbar fusion is often performed in conjunction with additional spinal surgeries to help alleviate the pressure that may be inflicted on spinal nerves due to other spinal conditions. What parts of the spine are involved during spinal fusion surgery? During a posterior spinal fusion, the surgery is performed on the lower back through an incision. The incision will allow Dr. Rozbruch to reach the spinous processes, which are the bony protrusions that extend off the back of the vertebrae. The muscles along the spinal column are gently separated at the beginning of spinal fusion surgery to allow Dr. Rozbruch a view of the spinal bones that he will be working on. What can lumbar spinal fusion help achieve? Spinal fusion surgery, also referred to as arthrodesis, aims to reduce or stop the movement of 1 or more vertebrae. By limiting the movement of a problematic vertebra, spinal fusion surgery can help reduce painful symptoms known as mechanical pain. Mechanical pain is a term that is used to refer to any form of back pain that can be attributed to abnormal strains being placed on the spinal column. Mechanical pain often occurs in the lower back and may radiate outward to the lower extremities. Excess motion of the spine is referred to as spine instability and can also negatively impact the health of your spinal nerves. 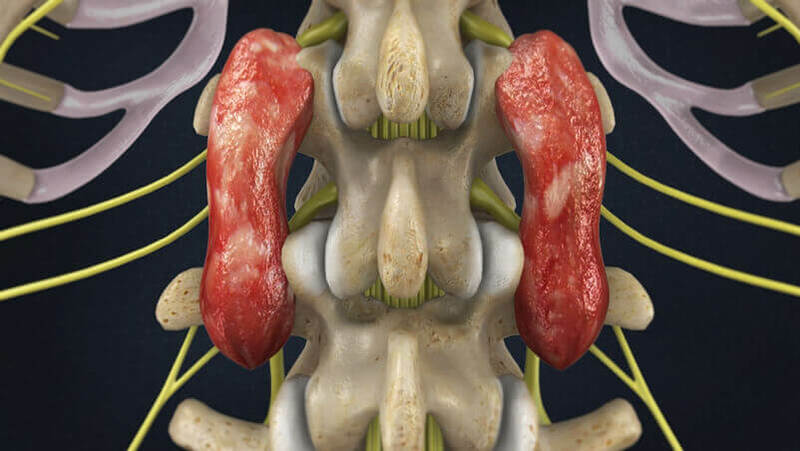 With excessive spinal movement, the nerves within the spinal canal may begin to rub against the neural foramina, causing inflammation and irritation. The neural foramina is the space where the roots of the nerves leave the spinal cord. This space may narrow when a vertebra moves too far inward, which will apply pressure to the nerves where they extend through the neural foramina. If a nerve experiences swelling or pinching, a patient may experience neurogenic pain. Neurogenic pain is when pain extends down 1 or both legs below the knee. With spine fusion surgery, spinal degeneration can be slowed down around the segments that are fused and help prevent future complications. What can I expect before & during spinal fusion surgery? Prior to a lumbar fusion, you may need to undergo a physical examination with your internist in order to ensure that you are healthy and a proper candidate to undergo spinal fusion surgery. On the night before your spinal fusion surgery, you will not be permitted to drink or eat anything after midnight. A general anesthesia will be administered prior to your lumbar fusion surgery. A ventilator may be used to help assist and monitor your breathing while you are under the general anesthesia. During lumbar fusion surgery, patients kneel facing down on a specially designed operating table. This operating table supports the abdomen and reduces any tension or pressure. Kneeling face down during lumbar fusion surgery also reduces the amount of blood lost during spine fusion surgery. Once the incision is made in the middle of the lower back, the tissues and muscles of the skin are gently separated. After the muscles have been carefully moved, the spinal column will then be able to be seen and operated on. An X-ray scan may be taken at this point during your spinal fusion surgery to ensure that Dr. Rozbruch is operating on the correct vertebrae. Dr. Rozbruch will then alleviate any pressure on nearby spinal nerves. This may be achieved through the partial or complete removal of the lamina bone. Fragments of spinal discs will then be removed, as will any bone spurs. The removal of these materials helps to provide adequate room for the spinal nerves and reduces compression. The roots of your spinal nerves will then be examined to ensure that they have adequate room to move normally. If there are still restrictions on the spinal nerves, Dr. Rozbruch may enlarge the opening of the neural foramina, a procedure known as foraminotomy. To prepare for spinal fusion, Dr. Rozbruch will shave small layers of bone off the back of the spinal column. A second incision will then be made at the hip where strips of bone will be removed from the top of the pelvis. This harvested bone will be used as a bone graft during your spinal fusion surgery. With a posterior spinal fusion surgery, Dr. Rozbruch will keep the bones together with the use of metal screws, plates, and rods, which is referred to as instrumentation. The instrumentation will hold the vertebrae together and restrict movement. Healing can occur quicker with less motion in between the 2 bones that have been fused together. Instrumentation is used during spinal fusion surgery to ensure the highest probability that the bones will successfully bond and fuse together. A drainage tube may be used to help remove fluid from the wound as it heals. The muscles, tissues, and skin will gently be placed together again. Dr. Rozbruch will apply sutures to successfully close the wound and may also prescribe a rigid back brace to wear while your spine heals. What can I expect after lumbar fusion surgery? A rigid back brace may be prescribed to some patients following spinal fusion, but patients who have instrumentation (screws, plated, rods) may not need to wear this back brace. Dr. Rozbruch can help decide if you would benefit from wearing the back brace following lumbar fusion surgery. The drain tube will then be removed 1-2 days after your spine fusion surgery. Patients may need to stay at the hospital for 1 week until their spine has healed enough to return home. A walker may help patients walk more comfortably for the first few days after spinal surgery. Dr. Rozbruch will be able to determine when you are eligible to return home based on your overall medical condition, level of pain, and rate of healing. It is important to get plenty of rest following a lumbar fusion, as your spine needs time to properly heal. For 6 weeks, patients should refrain from activities that involve moving their spine in any direction, which includes bending, driving, or even sitting up for long periods of time. Physical therapy often is prescribed to begin 6 weeks after your spinal fusion surgery. What should I expect as I recover from lumbar fusion? Physical therapy for spinal fusion can be a slow process, as it is important not to put too much strain on your back as it heals. Patients must wait at least 6 weeks before beginning physical therapy, as this time is needed to allow for the newly fused bones to properly bond and heal. Physical therapy after spinal fusion surgery may last for 2-3 months. To fully recover from spine fusion surgery, patients typically need up to 8 months of rest and physical therapy. Healing and physical therapy may progress more quickly if you had a lumbar fusion surgery with instrumentation. At the start of your physical therapy sessions, your physical therapist will be most concerned with teaching you exercises and tips on how to reduce and control pain or inflammation. Treatments involving ice or electrical therapy may be used to help reduce discomfort. Light activity and exercises will slowly be added to your physical therapy regimen. These exercises will be designed to improve heart and lung function. The first light activity that your physical therapist may suggest is gentle walking. In later physical therapy sessions, swimming may be added as an exercise. It is important to slowly begin to strengthen the muscles of your lower back with gentle physical exercise. Your physical therapist will also help you learn how to move and partake in activities properly without jeopardizing the health of your back. Body mechanics is a process of physical therapy that aims to reteach you how to move in order to promote the development of healthy habits. Body mechanics can help protect your back from future injury or damage. As you progress, your physical therapist will begin to customize your exercises to best fit your particular needs and help you prepare for returning to your normal routine. How can I learn more about spinal fusion surgery? To learn more about a spinal fusion surgery, please request an appointment online or call Dr. Rozbruch’s orthopedic office in NYC at 212-744-9857. Prior to an office visit, please fill out Dr. Rozbruch’s patient forms to expedite your first visit.